In a city like New York, where there are 8.3 million people in competition 24/7 for jobs, apartments and reservations, plus space on the sidewalk and seats on the subway, it’s really nice to see a familiar face in an unexpected place. And eleven years into my city residency, nothing makes me happier than knowing that with every day that goes by, I see those faces more and more often. 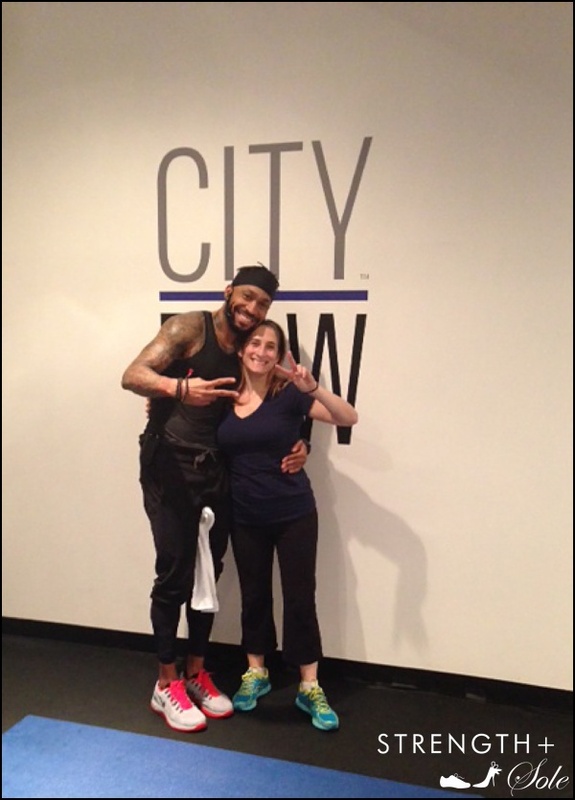 So, I was thrilled that my former colleague, Helaine Knapp, is now the founder of one of the most buzz-worthy new fitness studios on the Flatiron block: CityRow. Helaine and I actually worked together twice, at two different media companies, and I’ve always admired her optimistic, easygoing personality. After her latest stint on the digital side, she decided to pack up her business casual closet and re-invent herself, this time, rolling out bright blue mats and high-energy ergs. 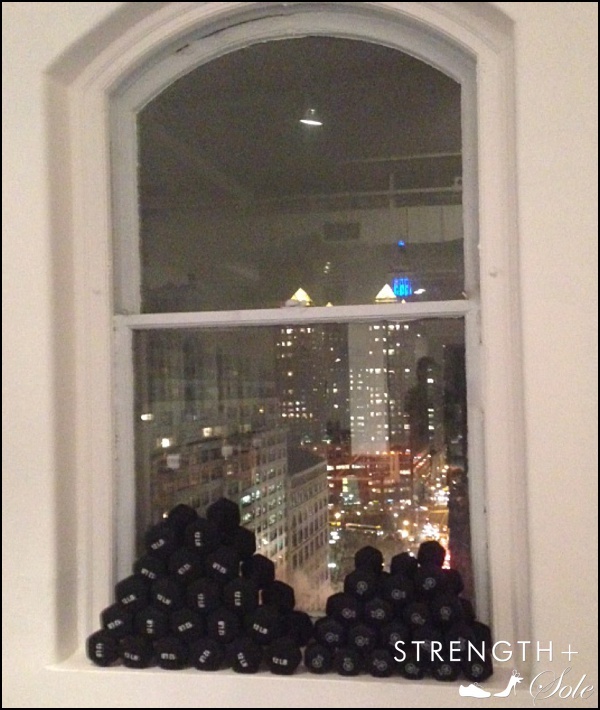 I stopped by her studio at the corner of 14th & 5th for Signature Row, 50 minutes of interval rowing meets mat work, led by hunky instructor Shaun Jenkins (@thesrj). 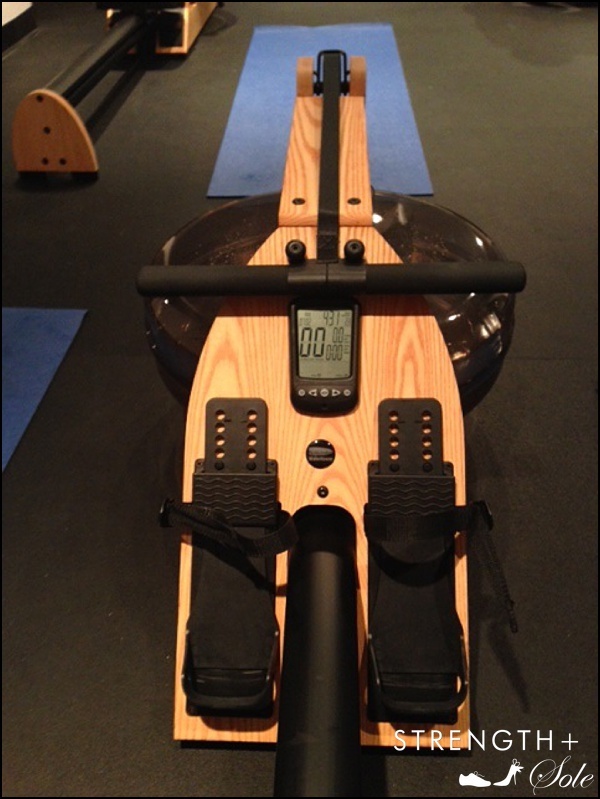 Each station includes a water-based rowing machine and mat plus a variety of self-selected hand weights. The studio feels spacious, with under 15 rowers per class. Mine was a mix of girls and guys, and, I’ve heard that couples are also very into CityRow. 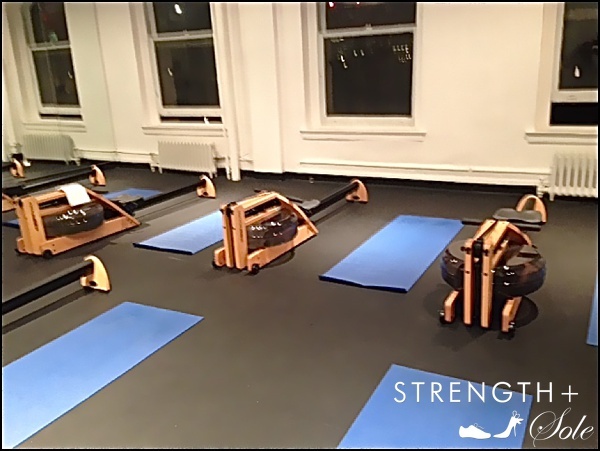 The class was a mix of traditional movements like squats, curls and pushups on the mat, combined with breathless rowing sprints. Shaun shouted CityRow’s standard directives, “Legs, core, arms!” and “Arms, core, legs!” to help first-time rowers remember their flow. If you’re nervous about how to work your rowing machine, don’t worry. They’re extremely user-friendly with very few buttons. Wear a tight tee/tank and leggings or bike shorts that won’t interfere with your row. Come dressed for class; there’s in-studio storage for stuff, bathrooms are down the hall. Bring a big bottle of water, towels are provided. If you need a snack, grab a clementine at the desk on your way in or out the door. If you want more stretching vs. sweating, incorporate vinyasa yoga with Row & Flow. After class, as I stopped to wipe my forehead and put away my weights, I looked out the window: directly in line with the Empire State, the view’s pretty too! Love rowing, sounds cool, and unique! Rachel we met through Self and spinning. You should come and check out T2nyc where I love to indoor ride on real bikes. It’s a studio on the parlor floor on 64th and Lex, above eat here now. (You enter on 64th). My coach Robert Pennino is owner and he runs amazing classses with riders all tracking their progress along real courses via Computrainers. it’s fun and an amazing workout. Music, group coaching, and you can use one of the new Specialized bikes they have there or bring your own road bike if you have one. If you’re interested I can have Jeanne@t2nyc.com get you into a great class! Love that you are introducing a new way to stay fit. Wish I had something like this in VT! What an amazing workout. I bet Brian would come too.